The Chicago Golf Guy February 16, 2014 February 17, 2014 Golf Definitions, Just Golf Stuff! When we ended part one of the two part series of what a good golfer looks like, we ended up with the players putter. I wanted to go over a few terms of what a good player can be described as. A Scratch Player is someone with a .9 handicap or better. I apologize to anyone who says they are a scratch player and do not qualify by my definition, but in order to be a scratch you have to be a 0 handicap. I’ll give you a .9 variance on that handicap, but you have to be a .9 or better. Someone who is described as a stick is anyone who is a 1 handicap to roughly a 5.9. Again this is just my belief, and I personally fall into this category, but I am technically not a scratch player. 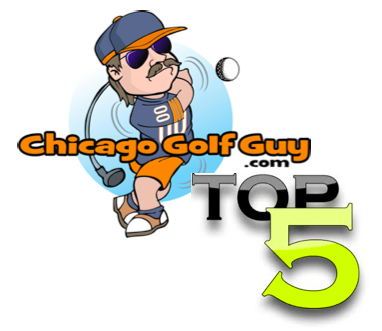 The Chicago Golf Guy carries a 2.2 handicap, my goal is to get lower this year, but that is another blog post. A “stick” is a made up term, but I like it better than people lying and saying they are a scratch player, and they don’t qualify, however they are better than the single digit handicapper definition. Which brings us to the definition of a single digit handicapper. The single digit handicap is any golfer who carries a 6 handicap to a 9.9. Please do not take offense to these terms. They are just definitions that I have come up with, and anyone who carries a single digit handicap or lower is someone who should be feared on the the golf course, and looked up to by younger players and anyone new to the game. But enough definitions of the good player what do they look like? A good golfer will have some sort of either hybrid or fairway wood combination. Every good player is going to play a 3wd, but will they have a 5wd or 7wd? How about a hybrid or will they stick with the long irons? I am happy to say that if Tiger Woods and Rory McIlroy choose to play a 5wd, then any good player can have one in their bag. A lot of touring pros now play with hybrids instead of those pesky long irons. Now don’t get me wrong if you see a guy sporting a 2 iron, I would tread lightly when deciding how much to play per point in your friendly match. Now that we have discussed the players clubs themselves and what kind of bag that they will play, what about other accessories? What a player brings to the course, besides his clubs is very important to each and every player. The good player will have some kind of specialty head cover. If that is a dog head cover on their driver, or a Rocket Tour or Jan Craig pom pom head cover on the 3wd, or possibly a expensive limited edition Scotty Cameron putter cover. The head covers a good player puts on his sticks is typically not the factory head cover for their R11 driver. This is not a definitive statement, but more often than not, you will see some kind of specialty head cover. What you will not see in a good players bag? Plastic Tees: I am a firm believer in this, you will not see a plastic tee in the hands of the scratch player. You are definitely not going to see a plastic tee that is suppose to perform better. A brush tee, or a cup on one side is something that the good player is not going to take much stock in. Stick with wood, and try to find some that are white. Iron Covers: This is a capitol offense for golfers in my opinion. I am going to apologize right now to anyone with iron covers, and I am not poking fun (your friends will do that enough for me), but there is no reason to have iron covers. They get lost, they are not functional, and they just scream I got suckered into buying these by some crappy salesmen at my local golf store. This is the golf equivalent of the rust undercoating for used cars…don’t buy it. Pull Carts: The player who uses a pull cart is a touchy subject. Typically you must have some kind of physical ailment if you are going to rock the pull cart. Old age is one of them, bad knees or possibly a bad back would be an excuse for the pull cart. Just remember Old Tom Morris never used a pull cart, Bobby Jones never used a pull cart, Jack Nicklaus…Arnold Palmer…the list goes on and on…no pull carts. If you are past your prime or are unable to walk the course and carry your bag, take a caddy or ride. Or put your clubs on your partners cart, and then walk the course yourself. I am not saying that you cannot use a pull cart and be a good player, but you are going to have to have some sick game to bust out your own pull cart out of the trunk and not get at least a little ribbing. Ball Washing Machines: Use your towel. There is no reason to use the ball washer. Use your head covers if you have to or your partners shirt tail, but under no circumstances should you be using the ball washer. Just think of this, have you ever seen a ball washer on the PGA Tour????? Any type of stroke counting machine or those little clickers that umpires use: If you are a good player there is no need to count past 6. My feeling is if you cannot count the shots you are hitting then you are in no way shape or form worried about how you look to other players. 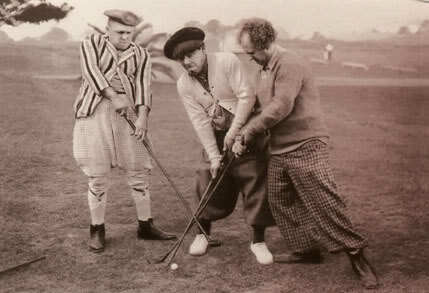 This golf blog post is meant to be a little funny and a little educational. As in every joke, there is some truth in the punch line, but it is not definitive. I just wanted to put some of these things out there, and help the hackers of the golfing world be able to look like a player even if they cannot always play like one.